See Kome Udu – Show Me Your Glory new song & video. Kome is a one of a kind Gospel Artiste and a profoundly skilled helpful lyricist with more than 25 long years of leading Praise and Worship both in Nigeria and currently, the United Kingdom. She is one of only a handful couple of Gospel Artistes whose music innovation is exclusively based on the Word of God. Her motivation is to move another generation of genuine worshippers. Show Me Your Glory is a song from the pending 10-track, Spirit-filled Album titled “Spirit Overflow” due to be discharged 30th June 2018. 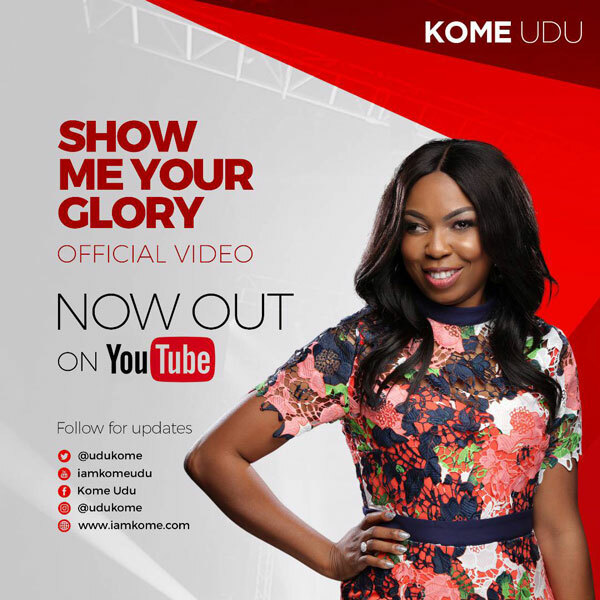 Listen, download and watch Kome Udu – Show Me Your Glory below.